Hi everyone! 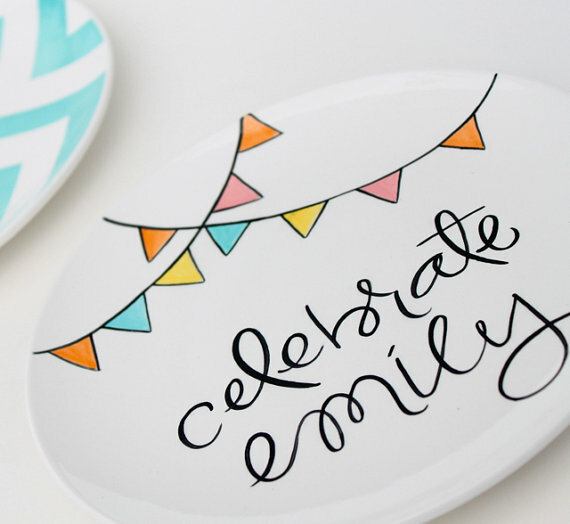 I decided to dedicate this week to showcasing some of my favorite party shops on Etsy. There is no better way to kick of the week than with sharing with you the insane talent and true passion of Aedriel Moxley of Aedriel Originals. I’m sure the photos speak for themselves, but I really do have to gush about her and her work a little bit. Earlier this year, I had the pleasure of getting to “meet” her via email after placing a big order for some plates. I honestly do not think I have met someone with more zest and enthusiasm for what they do and that is so very apparent in the quality of her work. 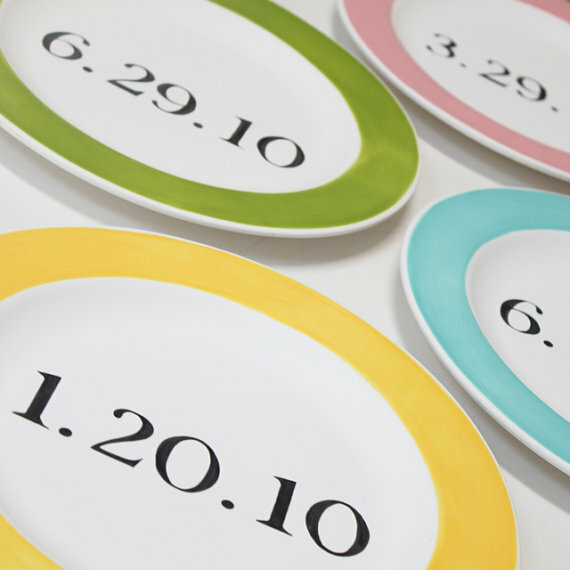 I received the plates and was absolutely blown away by the beauty of her steady hand – she handpaints everything herself! Her handwriting is to die for as well. My sister, brother and I ordered the plates above with our children’s birthdays on them. She wrote their names on the back which adds to the personalized feeling. Aren’t they cool? 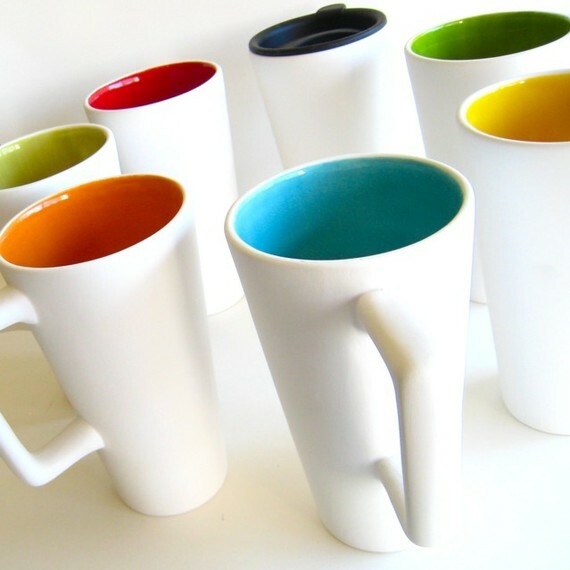 I am seriously coveting these mugs. So pretty all together like that! I think anything in her shop makes for a fabulous birthday present or hostess gift. 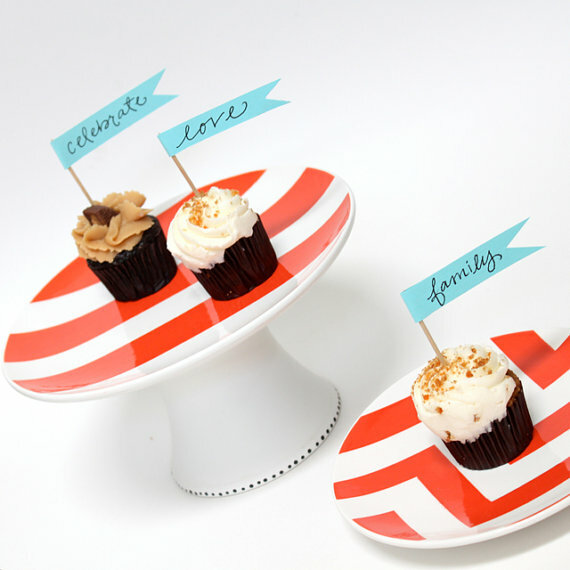 I plan on giving the next person who throws me a party that chevron cake stand as a thank you. (Uh oh! I have a feeling a bunch of people will want to be finding a reason to throw me a blow out!) 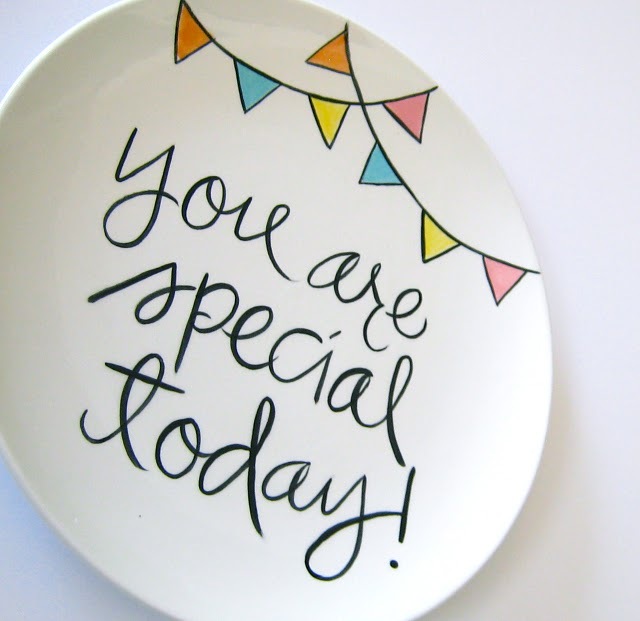 Her newest item in the shop is this “You are special today” plate. How perfect for a family… it can rotate for any reason. Birthdays, first day of school, first loose tooth. Just darling. Please take some time to take a gander at Aedriel’s shop and know that if you chose to buy something, you will be supporting someone so fabulous, so kind, and so grateful. I know first hand how fun she is to work with. I hope you get a chance to find out for yourself. (PS: I think she’s having a special promotion throughout July as well, so make sure to read her Etsy announcements to find out what it is.) If you want to see more from her, she’s also the gal behind the Blissfully Smitten blog. How talented can you get? 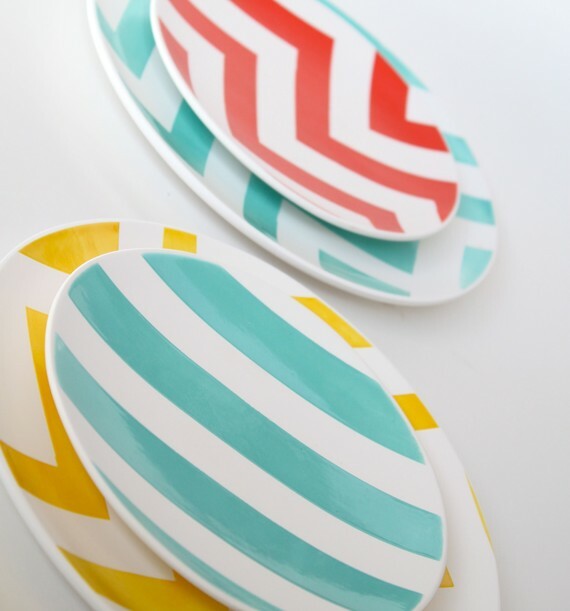 This entry was posted in etsy week and tagged aedrial moxley, aedrial originals, aedriel originals, chevron cake stands, chevron plates, etsy, etsy week, handpainted ceramics, zig zag cake stands, zig zag plates by Annika. Bookmark the permalink. These are amazing!!! So pretty! I’ve been looking for something like this for quite some time and have never found the perfect “special” plate. Growing up we had one and it always made my day when I got to use it. Thank you for sharing these! These are perfect! I know! Aren’t they darling? She’s so great to work with too! 🙂 Hard not to order everything! Hi. Im a friend os Stephanie Andersons. I love your blog. Im looking to do a Luau 1st bday party for my little girl. I didn’t see and Luau ideas and Im sure Im just missing it?